Your choice of photo as the cover. Remember, the free extra 40 pages offer is valid until 30 Sept 2010. 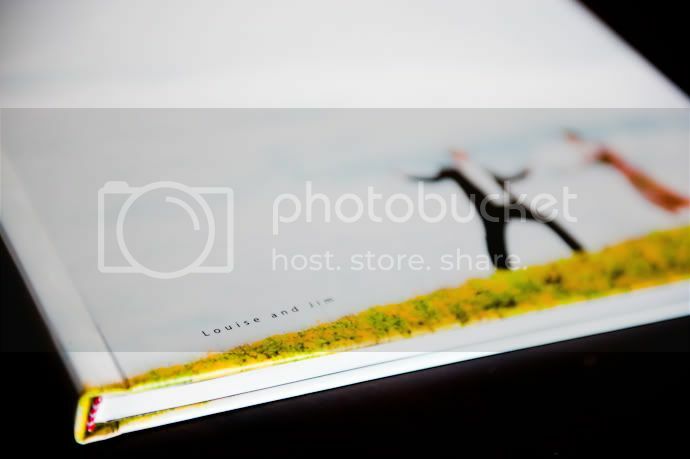 Promotion: Purchase a wedding story photobook as part of your wedding photography package and receive 40 extra pages free! (valued at $150). Offer ends 30 Sept 2010. I am delighted to be invited by Monash Photography Club to run a simple workshop about taking photographs of wedding couples. The event shall be held on Friday 3 Sept 5.30pm @ Monash Uni Caulfield (room location TBA). Please come along to hear about my take on wedding photography. Non-MPC members are welcomed but please RSVP by emailing ted@teddytan.com.au. For any wedding photography related enquiries, please contact Teddy. Full rainbow spotted on 20 August 2010 around 5.30pm at a southeastern suburb of Melbourne. Hope this is a good sign for the pre-wedding photoshoot tomorrow for Indah and Edo, who came all the way from Singapore! be it for photoshoots, or just gossiping over coffee, hope to hear from you! Checkout part 2 here. Part 3 here. This is a commercial videography project for Witness the Fitness, personal fitness and training based in Clayton Melbourne. Like the participants, I had a good workout too, running around and jumping up and down. Video filmed and produced by Hann. Directed by Teddy. 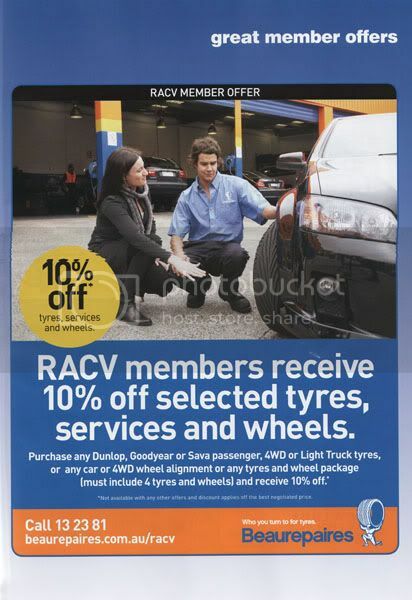 This is an advertisment by Beaurepaires published in RACV's Royal Auto Magazine, August 2010 edition. 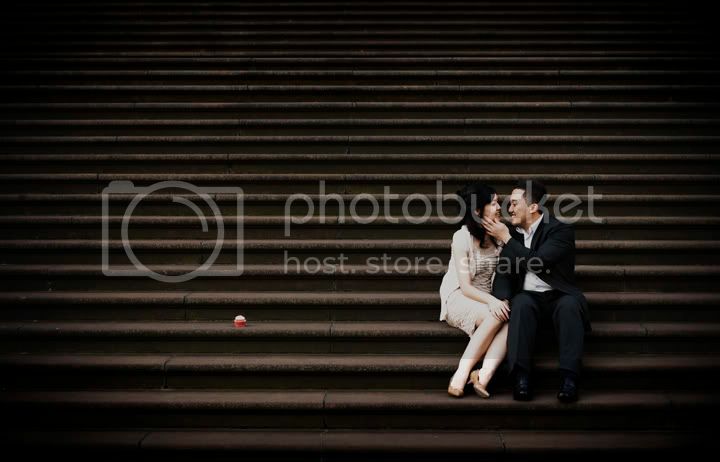 One of the many commercial photography fails that I've come across. 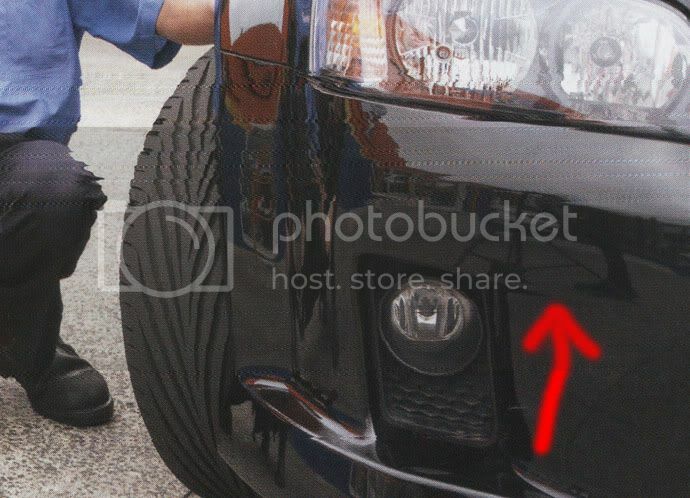 Notice that the photographer's leg and the lightstand with a sandbag are visible in the car's reflective bumper. Generally, it is considered unacceptable for a photographer to be visible in a printed advertisement, unless he/she is part of the ad. I took the initiative to do a quick edit (total time 1 minute) to remove the said objects from the photo, just to prove that it is possible. We are happy to provide editing services to fix up such photo. Or better, engage us to shoot your next advertisement campaign. Award winning wedding photographer is coming to Melbourne! We're delighted to have ChuianFeng (CF), an international award-winning wedding photographer, visting Melbourne during the month of September. CF had won several awards from the Wedding Photojournalist Association (WPJA) and this is a great opportunity to have your wedding photos produced by one of the top wedding photographers. Dates available are 25 and 27 September 2010. Dont miss it! On Wednesday last week, Waverley Camera Club hosted a fun night of portrait photography session. We're pleased to have Jodie, Cassie and Monica to model for us. Read all about it at the WCC Blog. For events like this in the future, please subscribe to my blog by clicking http://feedburner.google.com/fb/a/mailverify?uri=tjzteddy&loc=en_US. Photographers and models are all welcome.